Walt and Maggie purchase a run-down mansion with plans to restore it to its former grandeur, not knowing that every previous owner had suffered a terrible tragedy due to a centuries-old curse. During the restoration, the mysterious mansion reveals dark secrets that have been hidden away for decades. As restless spirits and hidden corpses are found, Walt and Maggie fear they may become the next victims of the evil curse. We may not always see what truly hides within the minds and hearts of certain people, and where we believe is a good, pure individual, lays a terrible murderer capable of the most horrible acts. 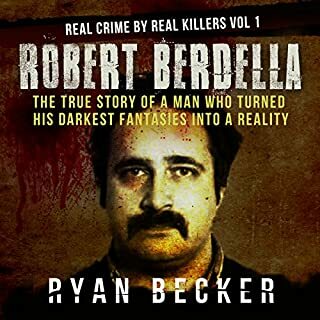 Robert Berdella was one such man, a helpful and friendly individual who - in a spree separated by a few years - managed to capture and horrifically torture seven young men, murdering six along the way. Control and dominance were his tools, pain was his method. Captain Kate Holloway moved her family to New York to start over, and break the barriers that her work had created. But when an EMP brings New York to its knees, Kate must fight to survive amid the terror descending upon the city and rescue her family. Christian Windsor is a certified genius. He's also autistic. At 23 years old, with two PhDs, Christian joins the FBI's most dangerous division, The Exceptional Crimes Unit. His first assignment? A serial killer on a rampage. Nicknamed The Surgeon, he's cutting the eyeballs out of women. That's not the only psychopath lurking in the shadows, though. There's another, and Christian can't see him. No power, no water, no emergency services, and hundreds dying by the day. This is Georgie Fitz’s reality when an EMP bomb goes off over her home in Denver, Colorado. As one of the few who knows how to survive the start of an apocalypse, she sets out with her boyfriend to escape the city. After all, the darkness of the Rockies is safer than the violence in the streets. On the surface, Kit Caldwell has it all. A senior in college with her future ahead of her, lots of friends, lots of parties - not to mention also having the eye of Tommy, the star quarterback of the football team. But underneath, Kit's life is a charade, built on a foundation of secrets and lies, including one so dark it threatens to tear her world apart: her twin sister, Cat, was kidnapped when they were both seven, never to be heard from again. That is, until one dark Halloween night. Author Rob Hooper returns to his hometown with his wife, Janet, in search of a fresh start. They find a 20th-century Victorian-style house whose owner, an elderly widow, is eager to sell. Rob remembers riding by the house on his bicycle as a child, fascinated by its isolated qualities. He tries to convince his wife to consider the widows generous offer. But the home harbors a dark past involving murder, betrayal, and secrets long buried to protect the town’s image. Mystery/thriller masterminds James Hunt, author of the Death Notes series, and Roger Hayden, author of The Abducted series, come together in this super box set for the first time! That's two complete book series comprising five novels. What should have been a routine afternoon on the witness stand for forensic handwriting expert Claudia Rose turns into a shocking assault that leaves her bruised and bloodied. Following on the heels of a series of other traumatic events, the attack sends Claudia to the brink of a breakdown. Her fiancé, LAPD Homicide Detective Joel Jovanic, learns of the attack while leading a homicide investigation into a mailbox bomb. An innocent housekeeper in the tony Venice neighborhood is dead, and the homeowner is the CEO of a major pesticide-producing corporation that has been targeted in the past. When a notebook found in a geocache near the crime scene leads to the protest group People for Safe Food, Jovanic needs Claudia to identify the handwriting of a suspected eco-terrorist. Though she may have recovered physically from the assault weeks later, Claudia’s fears continue to plague her. Desperate to get away, she accepts an invitation to lecture in the UK, but her trip turns into a nightmare when she runs afoul of both the FBI and New Scotland Yard. Jovanic’s homicide case has followed her to London where she finds herself unexpectedly allied with the chief suspect. Best one of the series! This is Sheila Lowe's best working in her Forensic Handwriting Series. The story line is great, and so is the narrator. The work she and her detective fiance are doing is compelling and believable. I highly recommend it! Very well written, see what I did there?!? A mailbox bomb goes off in a ritzy neighborhood, killing a housekeeper of a prominent chemical company CEO. Claudia is in court for an unrelated case testimony and is attacked by the defendant. Shaken Claudia becomes gun shy and embarrassed as social media videos had been taken and not gotten the best side of the encounter as she was dressed for dinner with her fiancé detective Jovanic. Taking a break from it all she heads to a conference in the UK to visit her colleague and friend Daphne. While she's in the UK she is brought in on a case that is linked to the bombing back home. Eco terrorists upset about the chemical companies effects on the environment and health are the main suspects in the case. However as Claudia and Jovanic delve deeper into the case they learn there is more than meets the eye going on, both at home and abroad. Excellent murder mystery, eco terrorist conspiracy story. I also love that it takes place here and in the UK. I really enjoy this series and it's narration. It is really interesting to learn about what can be learned from handwriting. I look forward to listening to more in the series! I received a free review copy of this book at my request and have voluntarily left this review. Thanks! I really liked this book, it was not what I expected. Yes the main character did make me feel like screaming at times but other than that it was a good read. And I did figure out who did it. I would recommend it. There is some violence (to be expected) but no sexual content. The expert witness for the prosecution gets violently assaulted by the accused right in the courtroom! It's a given that she develops PTSD complete with flashbacks, but her significant other (who is a police detective) isn't available for a lot of support because of a murder caused by an eco terrorism proponent. And that's just the beginning of this outstanding mystery novel whose lead character is a forensic graphologist! 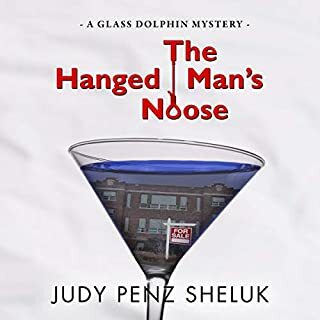 Expect learning opportunities, serious plot twists, red herrings, and ingenious suspense in this series in which any book is capable of being a stand alone. Loved it! The narrator is Anna Crowe who is exceptional! I requested and received a free audio copy much to my delight. 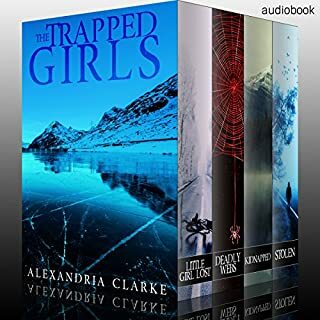 This book is so different from your traditional crime stories.. with out giving away too much, i highly recommend this audio book to those looking for a new take on crime and how they are solved. Best I've Read all year !! "This book was absolutely the best. Fast moving, page turner, and very hard to put down." Outside the Lines is a mystery featuring forensic handwriting expert Claudia Rose and her fiance, Joel Janovic. Although this is the sixth book in the series, I had no problem picking right up with the background and characters. This book starts with the mailbox bombing at a pesticide company CEO's house which Janovic is investigating. Due to her expert witness status as a forensic handwriting analyst, Claudia is quickly drawn into his investigation. Lowe gives the reader a fascinating look at what handwriting indicates about an individual's personality, mental state, financial status, etc., all while crafting a true police procedural that kept me guessing until the big reveal. The story bounces between Claudia and Janovic's experiences as they work together from completely different directions to solve this convoluted mystery. Even better than their working relationship as a crime solving team is the true passion, love and respect these two have for each other. I think that was actually my favorite part of this story, and I hope to read many more books featuring them in the future. Anna Crowe's narration was fantastic. She has a beautiful, smooth voice, and she differentiated equally well between male and female characters. Crowe brought even more depth to an already exciting and intriguing story. 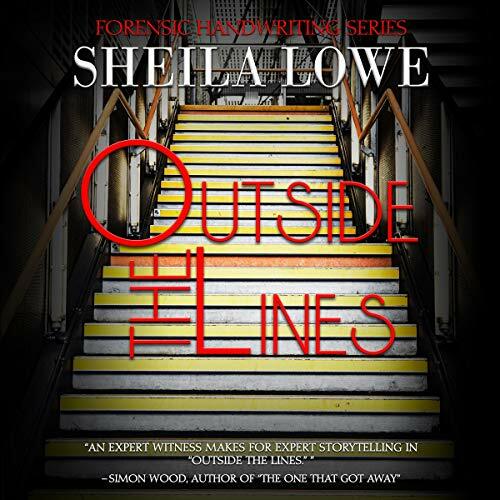 Outside the Lines by Sheila Lowe pulled me in immediately. I really liked the characters of Claudia and Joel. The plot of the book was well developed and I found myself wondering who's the bomber, is the victim really the target. The imagery and twists are wonderful in this book. The narration by Anna Crowe was spot on. She gave the right emotions and urgency to the situations. I requested this review copy audiobook and have voluntarily written this review. I will definitely listen to more books by this author and narrator. This book is part of a series and a standalone listen. Not my usual genre of books but I really enjoyed it and will likely buy more in the series. Claudia Rose is a forensic handwriting expert and whilst giving evidence in court she is brutally attacked . Her friend in the UK invites her to lecture over there so she accepts hoping to get away from her recent attack and to build her confidence back up. 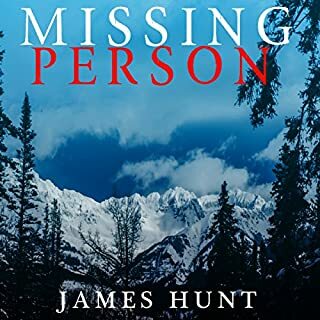 Her Fiancé is a LAPD Detective and his homecide case seems to follow her to the UK where she runs into trouble with both the FBI and New Scotland Yard. The thing I love the most about suspense thrillers is what I can learn from the author. This well researched story had me riveted to my seat! Claudia is an expert witness for forensic handwriting and after a prominent case is badly beaten. From this, the fear of more retaliation is real and Claudia goes to her friend Daphne's to heal, leaving her fiance Joel behind. He is a cop and is investigating a mailbox bombing. With so much going on, Claudia finds her skills in demand and she is busier than ever. Will she find her confidence again or is the fear warranted? This tale of mystery, intrigue and international crime leads us to all kinds of suspects. The writing is impeccable and kept me fascinated. I loved learning about handwriting and what an expert can derive from a loop or a slant. It's incredible to know so much is stored in a line of handwritten text! I would definitely recommend this and look forward to going back in the series. Anna Crowe does an amazing job narrating this story. It's my first listen by her and I love her voice! She is just as mysterious and entertaining as the story, giving each character their own personality and made the listen intriguing. This great novel sets the listeners /reader on an emotional roller coaster ride that you do not want to get off. Enjoyed the whole audio book. Loved this book. Awesome storyline and great characters. I highly recommended this book. The narrators were spot on too. A tangled web, and all that. Whilst appearing as an expert witness for the prosecution, Claudia is badly beaten up and almost strangled when the accused manages to leap free during a contrived incident in the court. Bruised and terrified, she finds her confidence gone during her convalesence, afraid to leave her home. To get far away from the streets where she fears further retribution from the attacker's gang of friends, she accepts the offer of an all expenses paid trip to London as the headline speaker at a conference being held there by girlfriend, Daphne, leaving her police officer fiancee behind to continue the investigation into the death of a maid in one of the more affluent areas of L.A. But London holds it's own dangers and Claudia finds her skills as an handwriting expert in demand from more than just the conference as the case in L.A. seems to intertwine with others in England. Once again, she finds herself reluctantly drawn into possible danger. 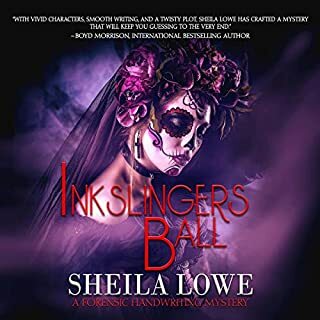 Sheila Lowe has, with Outside the Lines, written another intriguing thriller of corruption, murder and double dealing, this time with international implications. As a Brit, the time Claudia spends in London, and later in Cambridge, are especially enjoyable as the author conjures up the atmosphere of both the place and the people well. The handwriting analysis passages are also fascinating, causing this reader to want to know much more. The book is performed with skill by Anna Crowe, whose very pleasant voice delivers the text with expression, good pacing and excellent intonation. 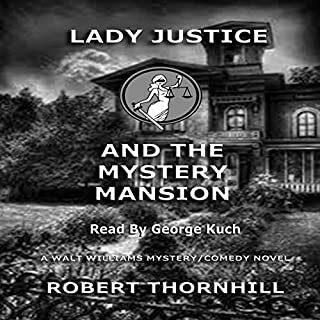 Her voicing of the individual characters is also distinct, and, although her Irish accent certainly needs refinement, her narration overall adds to the enjoyment of the book. My thanks to the rights holder of Outside the Lines, who, at my request, freely gifted me a complimentary copy, via Audiobook Boom. Another good stand alone story in the forensic handwriting series. She sure can spin a tell. Sheila Lowe surely knows how to write. This is not the first my first book of hers and I hope it’s not the last but this story disappointed me somewhat. What I mean by that is that there are whole parts ( like the hand writing expert ) was not necessary, this case was solved by an old fashioned detective work and the motive also didn’t make sense, yes it would have cost money to change the factory but with the new patent the money is not a problem any more so no motive, about bad PR, it seems to me that a new healthy formula would bring good PR so again no motive. The whole book was great till the end which was to quick ( it was like 9 good hours of a story and about 10 minutes of a hurry up endings ) and badly done, which is why it disappointed me because it was really good and hard to put down. This is a good book with a quick ending ( I listened to it in audio but it feels like that she raps it all up in one page ). Even so I still would recommend this book, it was 9 hours of good and she sure writes very well. It’s one of those books that I would say decide for yourself. Got this audiobook for free in exchange for an honest review.